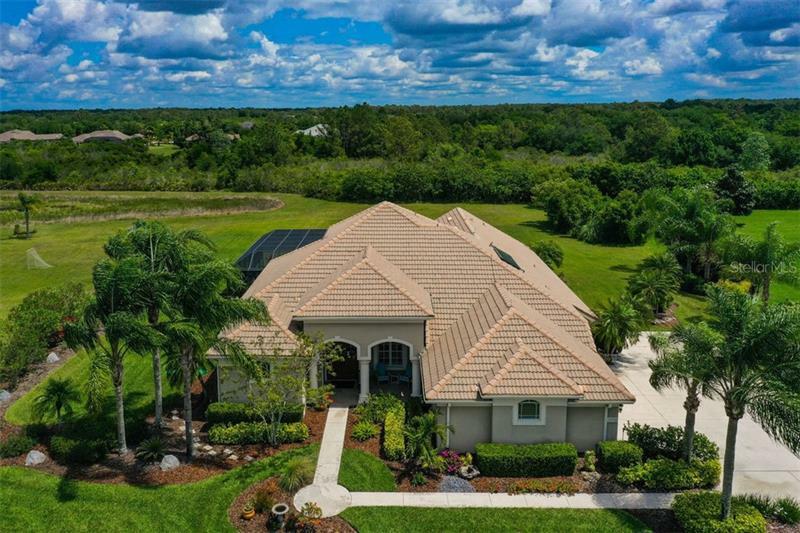 Built by Todd Johnston with the intent to embrace its natural preserve setting in Lakewood Ranch Country Club, this four-bedroom, Tuscan estate evokes a rich, meditative tone through warm colors and abundant natural light. The interior of the residence conjures Old World Europe with coffered ceilings and unique stone detailing at entry points. Gazing past thresholds, the pool terrace has been appointed the heart of the home, with all other spaces flowing harmoniously around it and providing preserve views from all rooms and levels. The kitchen, with center island, granite surfaces, chestnut cabinetry and stainless steel appliances, is wonderfully spacious with a breakfast bar to connect the family room and casual dining area. 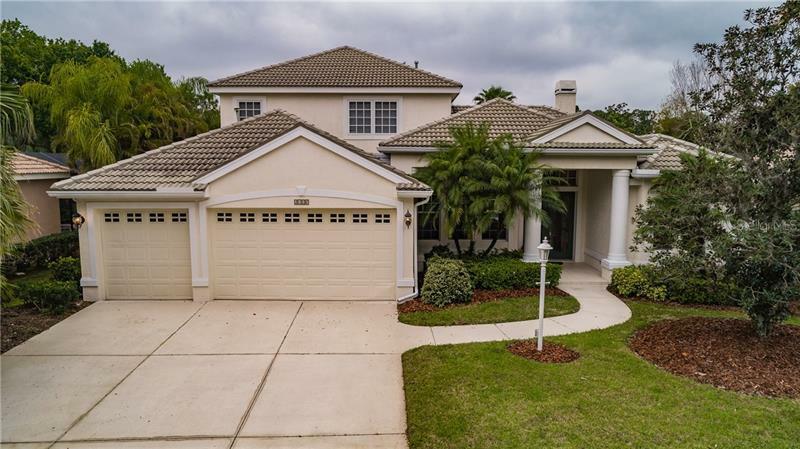 Custom details aplenty, guests will enjoy this hub of entertainment with tray ceilings, beautiful tile flooring and bay windows. Upstairs all family needs have been addressed with two bright and sizeable bedrooms, a stately office that demands creative contemplation and opulent master suite with private balcony and en-suite bath. Outdoor festivities will become a staple of the household with a summer kitchen and meditation garden. Other updates include new A/C in 2011, air purification system in 2014, hurricane shutters, and solar pool heater. 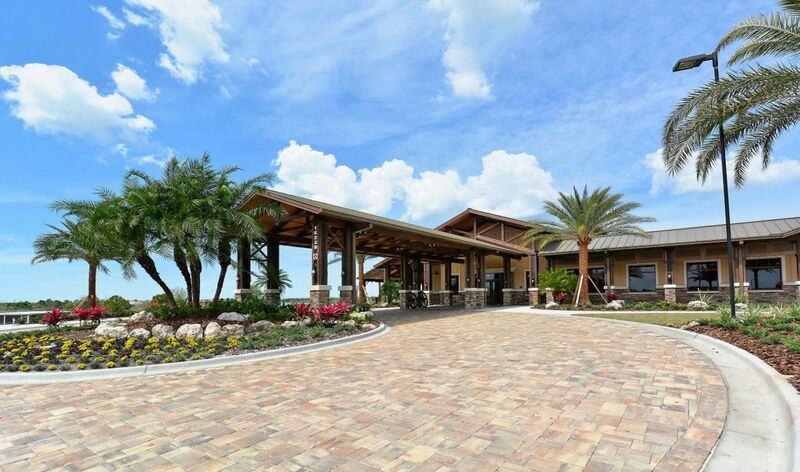 Lakewood Ranch Country Club is a deed-restricted community close to beaches, downtown Sarasota and A-rated schools. 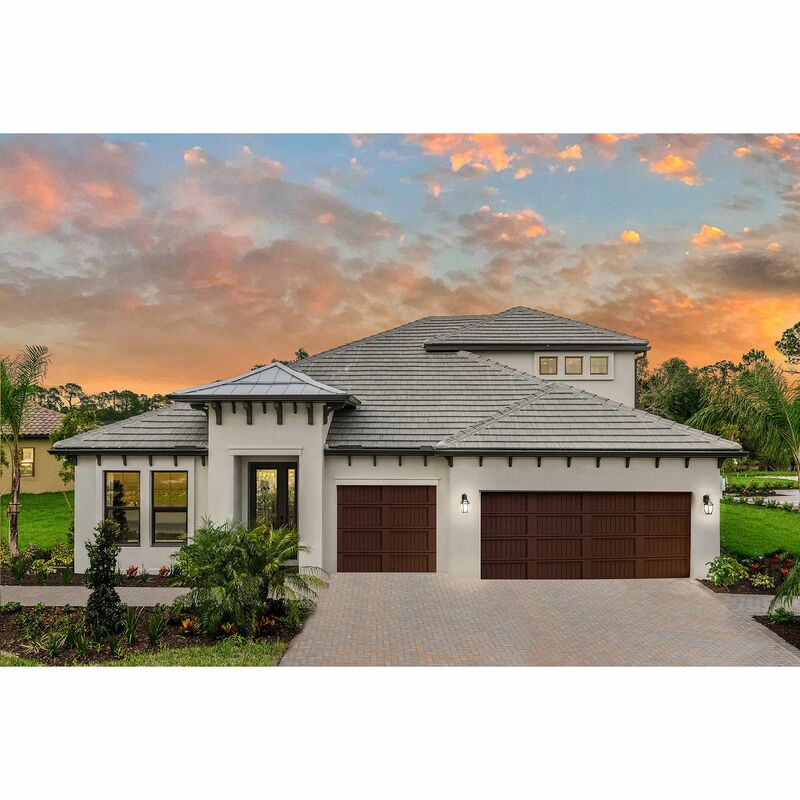 Revel in peace and privacy while enjoying the best of Florida living. Directions: I - 75 to exit 213, go East on University to Legacy Blvd, take a left to Masters, then take a right to Eagle Watch, Take right, take right on Laurel Valley to Championship Ct., Take left, house is on the left.